Haupia and Poi are two Hawaiian foods most people have never tried. Trust me, you can skip the poi. If you enjoy coconuts, you need to try some haupia. It’s like coconut milk, jellified. 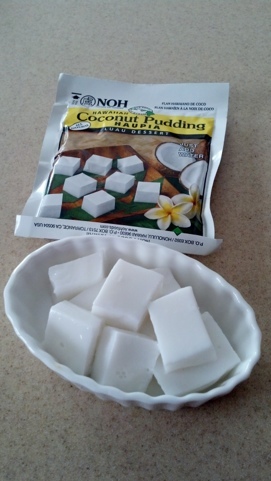 Really good hot, or cook it and let it cool, cut into cute squares, Aloha!